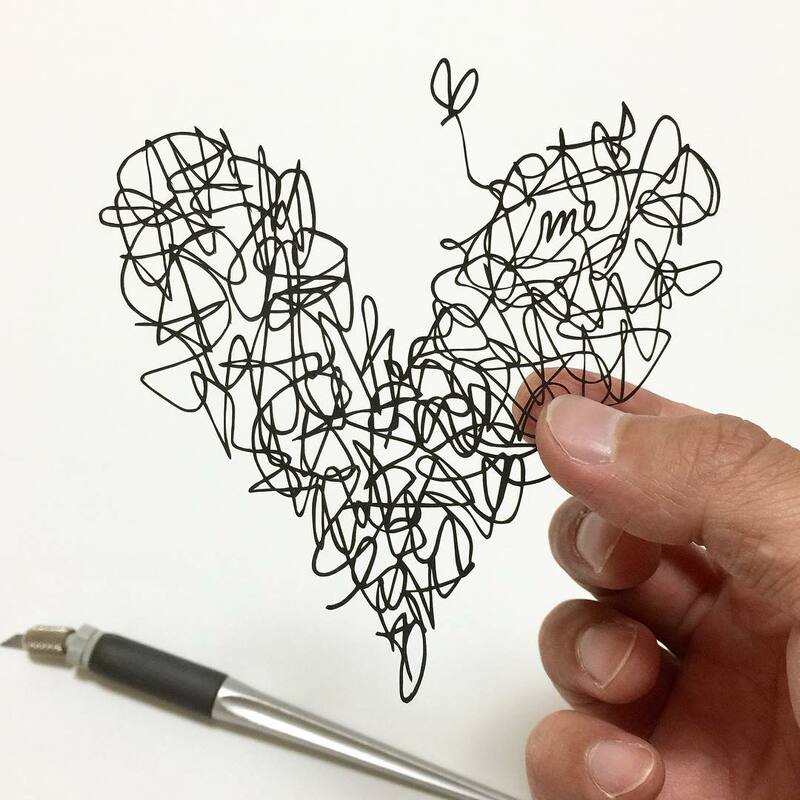 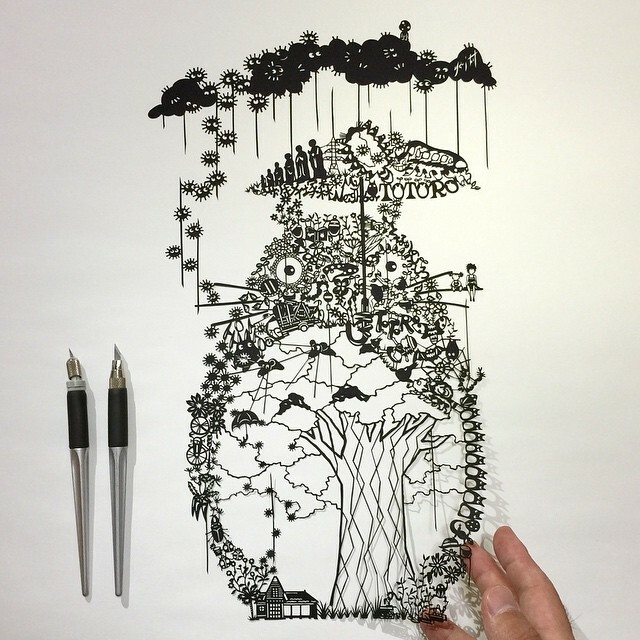 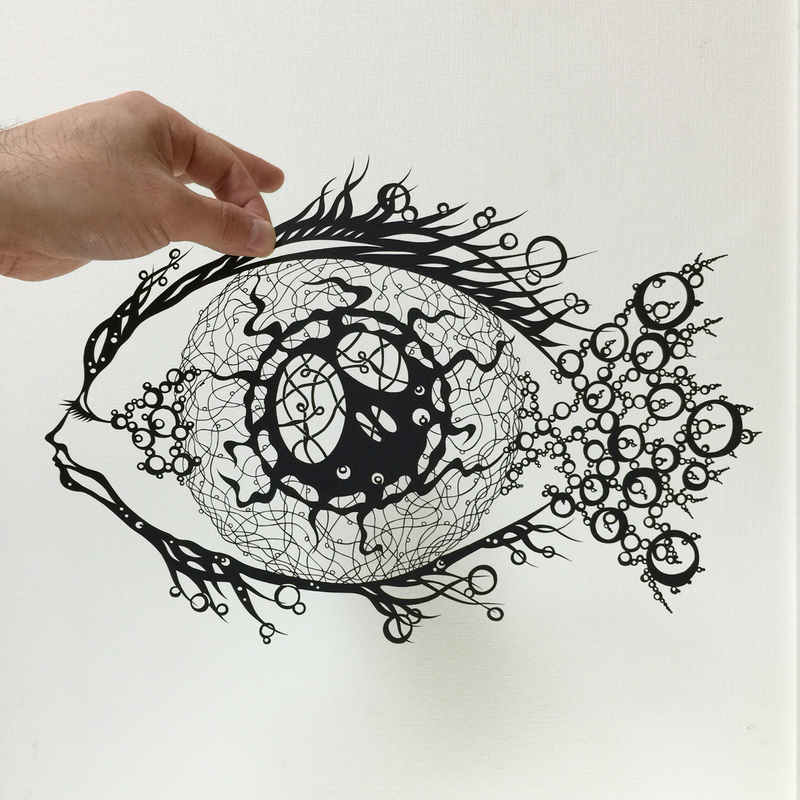 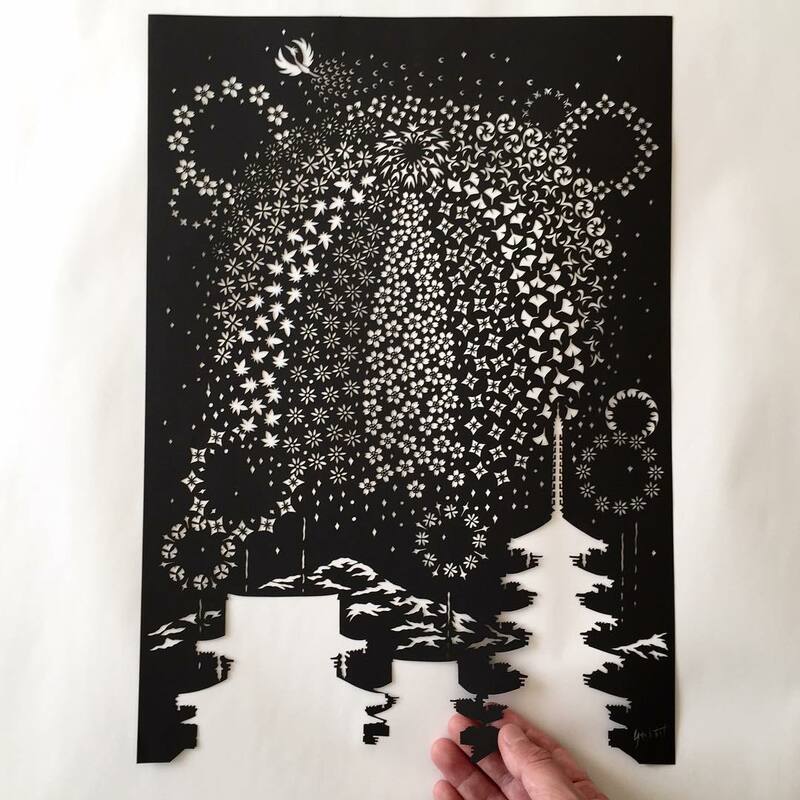 Japanese artist Riu creates remarkably intricate paper cut designs. 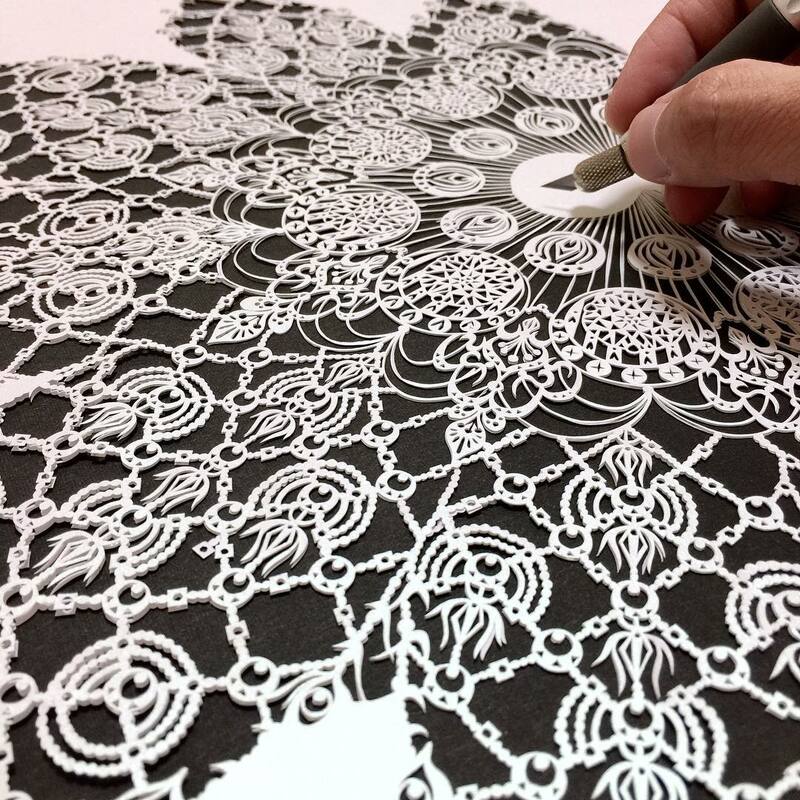 Winner of multiple online art competitions, the young artist maintains an Instagram account and blog that each showcase a stunning display of technical skill within delicate patterns. 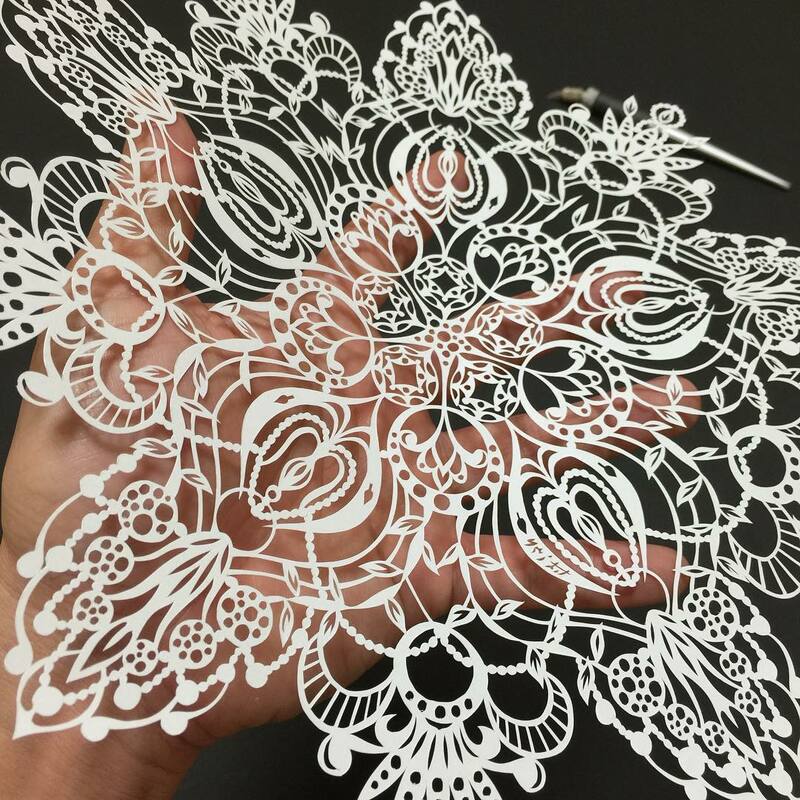 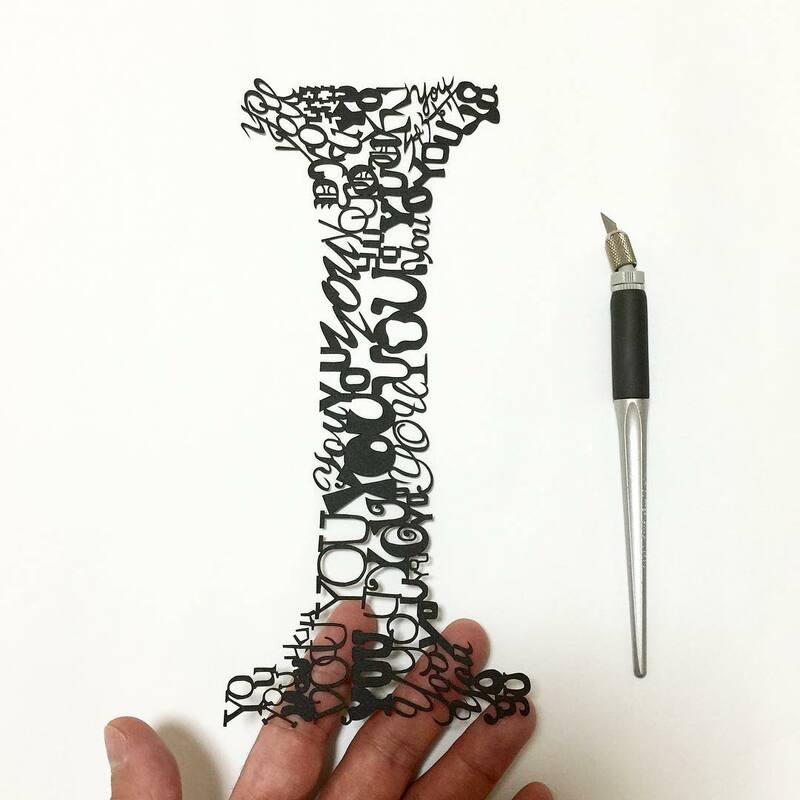 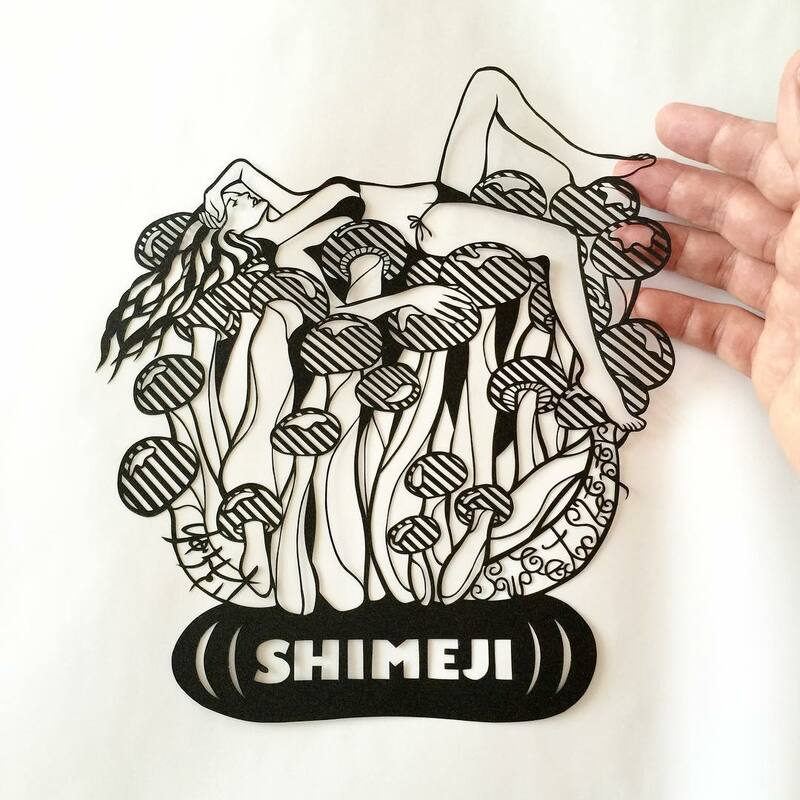 Papercutting is a worldwide tradition that has evolved within many cultures. 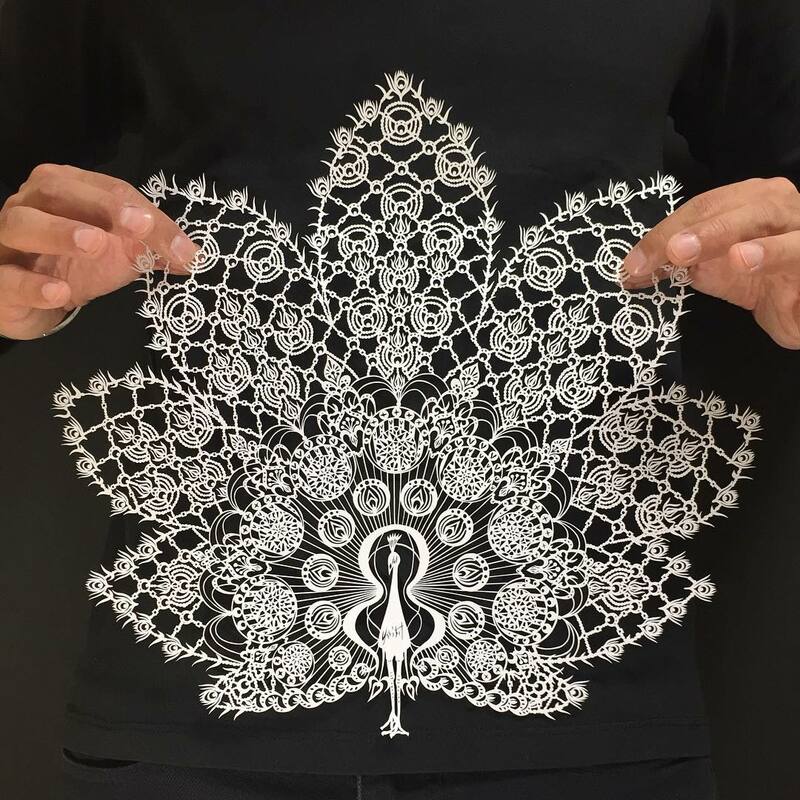 Symbolic and decorative in nature, it has both aesthetic value and therapeutic properties. 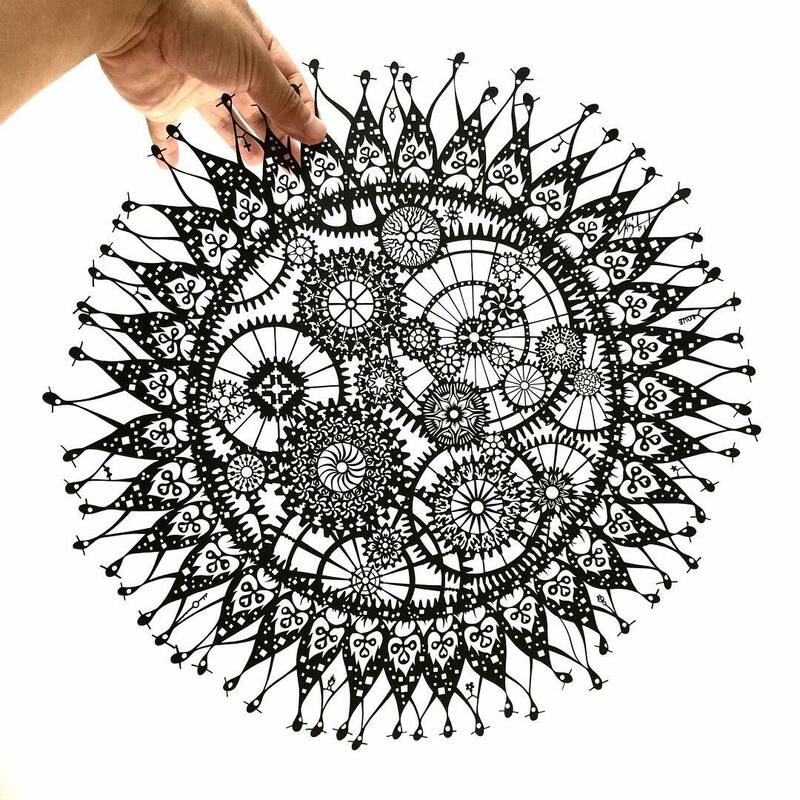 Riu often creates pieces composed of mandalas and other striking complexities that reflect beauty seen in the natural world. 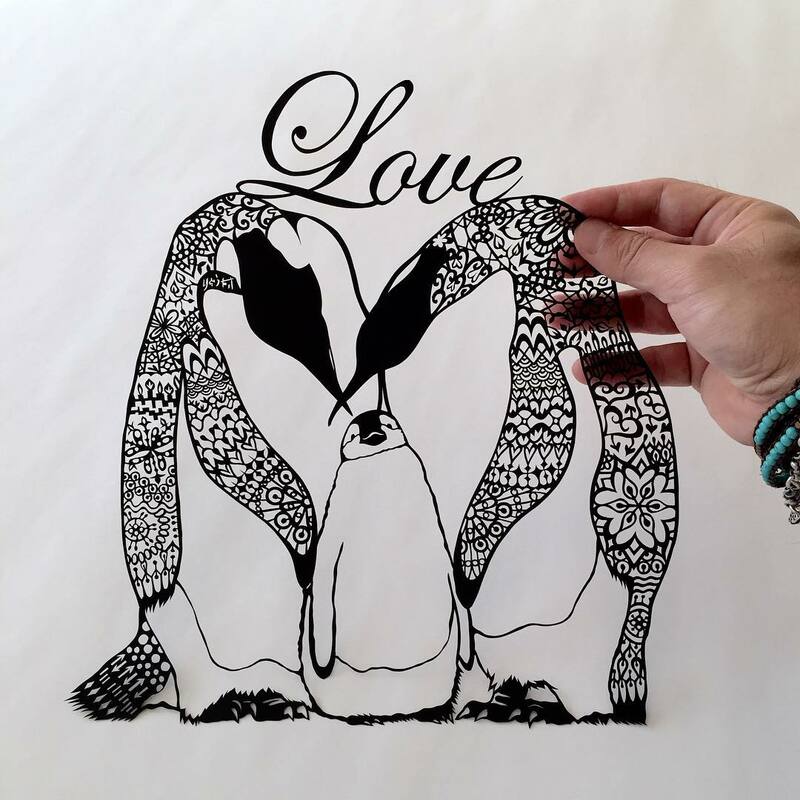 His captions also reference quotes of love and peace that complement the harmony apparent in the artwork. 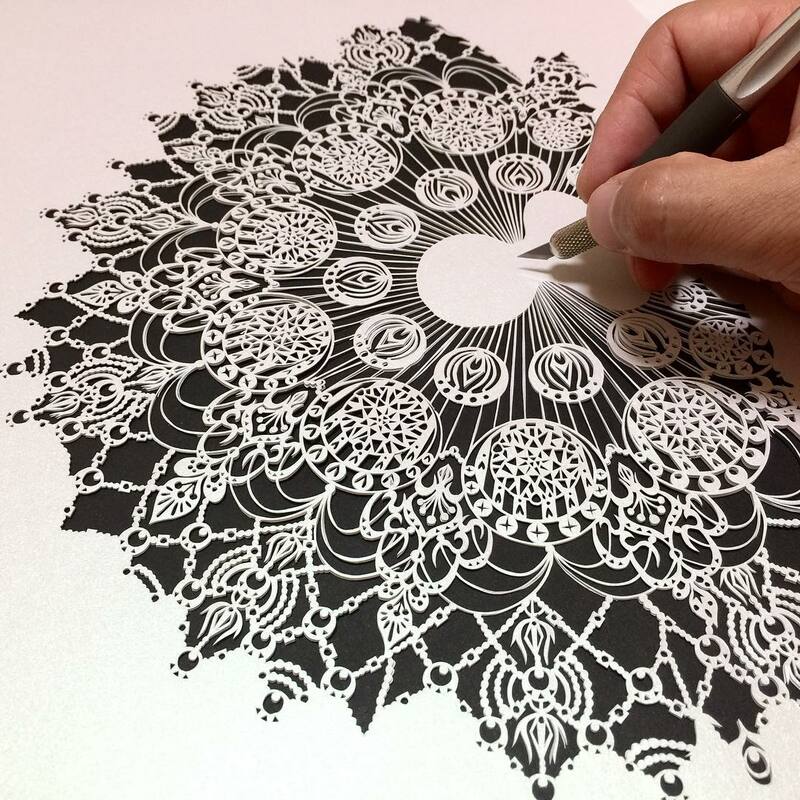 Meticulously detailed, Riu displays professional levels of talent in his larger than life zen images.